If you kill a mob you will you will be rewarded. 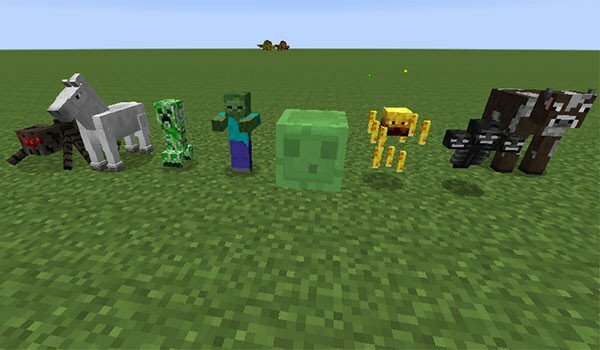 Mob Statues 1.7.10 is a mod that adds a 2% chance of getting a trophy to eliminate any mob of Minecraft, both animals and enemies. These trophies are in the shape of statue of the animal or enemy that you have killed. You can place them wherever you want to decorate your house to show others how many you have destroyed. You can choos to place them either in on the flor or on the craft table so that when adding a stone block you will have a statue with a pedestal. Additionally, the mod adds two types of hammers that you can use to make the statues bigger or smaller. As if this were not enough, this mod will work with any mob added by any mod. How to install Mob Statues Mod for Minecraft 1.7.10? Turn your victory into a statue!